Make your own cheese sauce mix to store in your pantry for instant sauces. There's no more secure feeling than to know you have mixes and foods in your house to make recipes without having to run out to the store. And these recipes are better for you than the purchased variety, since you aren't using as many artificial ingredients, and these mix recipes are cheaper too! If you'd like, you could add more shredded cheese of just about any type to this recipe before you serve it, but that isn't necessary. Some more American cheese, or some grated Cheddar or Colby would be delicious. You can serve this recipe over baked chicken, with meatloaf or grilled steak, or pour it over a baked potato. It's also delicious as a dip with crudites and chips. Combine the dehydrated cheese powder, nonfat dry milk powder, dehydrated butter powder, flour, salt, white pepper, and onion powder in a small bowl and mix thoroughly with a wire whisk. Decant the mixture into a container with a lid and store in the refrigerator up to 6 months. 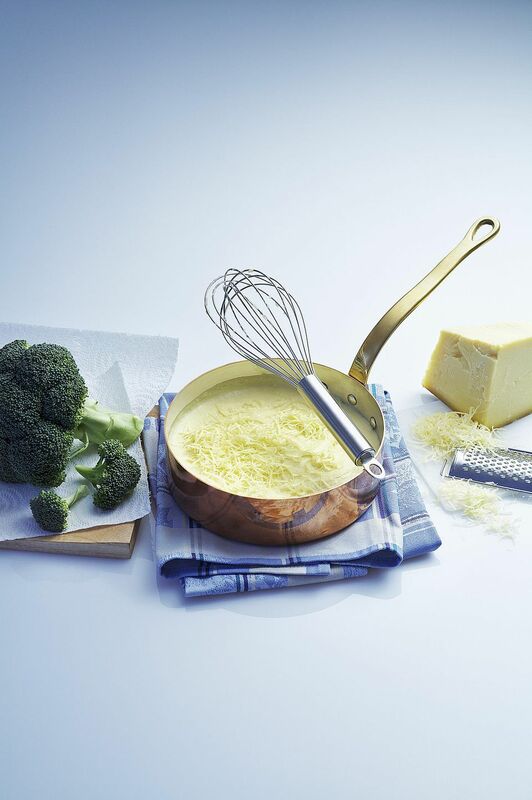 To make the cheese sauce using this recipe, combine 1 cup hot tap water with 1/2 cup Cheese Sauce Mix in a small saucepan over medium heat. Bring to a boil, stirring constantly with a wire whisk, until the mixture boils and thickens. You should have a complete cheese sauce.